Get more for every pound at Poundland. Serving over 7 million customers every week, Poundland offers an irresistible shopping experience where shoppers are guaranteed to find thousands of quality products in each store, including over 1,000 well-known brands, across 17 shopping categories including food and drink, health and beauty, household, gardening, DIY, pets, stationery, books, DVDs and toys. 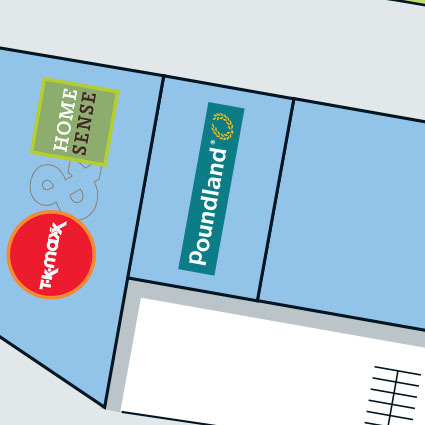 Poundland has over 900 stores in the UK and the Republic of Ireland, selling top brands and great quality own label products for just £1, providing amazing value every day, every week, every month, every year since 1990. In 2015 Poundland won two prestigious awards the Retail Industry Awards for Discount Retailer of the Year and the Grocer Gold Awards for Own Label Range of the Year for its Make Up Gallery cosmetics line. Poundland supports Macmillan Cancer Support the UK’s leading Cancer charity.